Honestly, I feel a little bit like I’m insulting your intelligence by calling this a DIY. 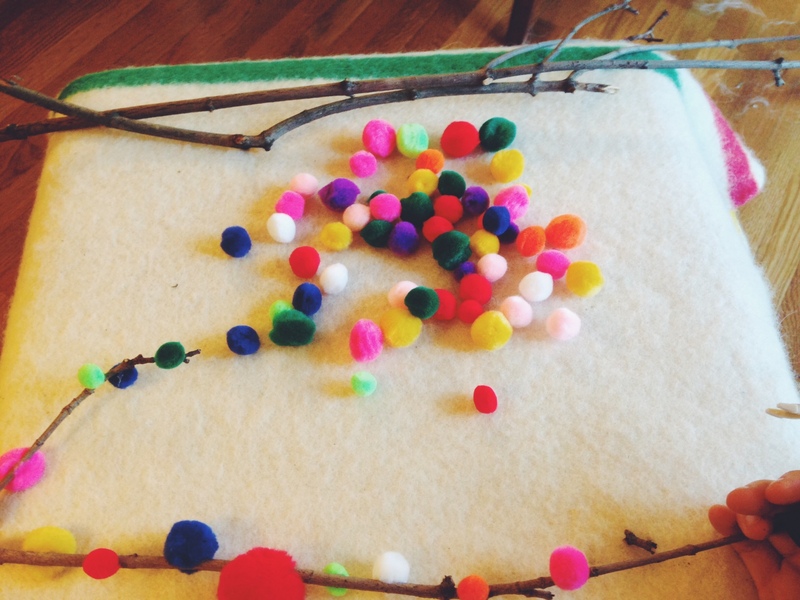 This is gluing pompoms on a stick that I found this morning in the backyard. 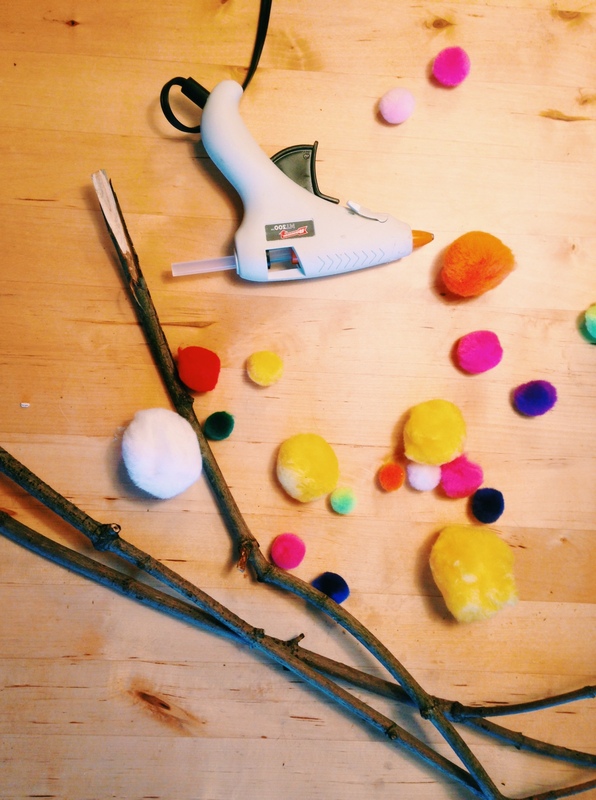 I can’t even lay claim to the idea of gluing pompoms on a stick; I saw it on Pinterest. That being said, I encourage you to follow suit. it takes 5 minutes and is pretty cute, no? Plus, take 5 minutes in the morning to make something, and all day long you’ll have that artistic and accomplished “I glued pompoms on a stick when I could have been trolling Facebook” glow. 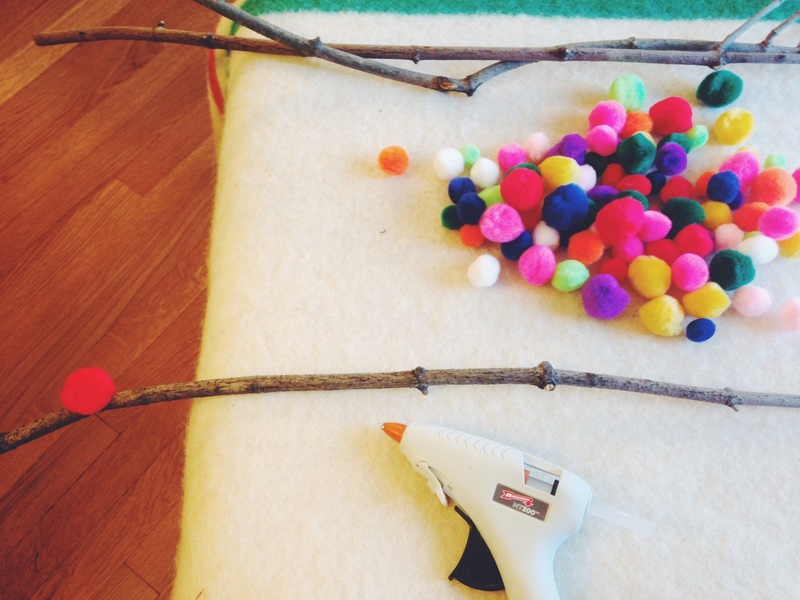 To glue your own pompoms on a stick you’ll need (brace yourself): pompoms, a stick, a glue gun, and 5 minutes. Three sticks are shown in the photo above (for the ultra ambitious crafter only). 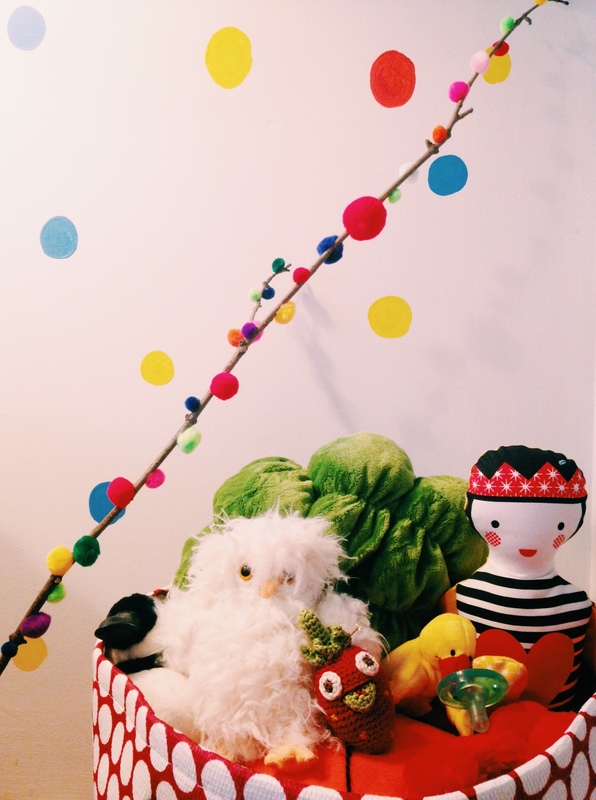 Rotate the stick as you go to get the pompoms stuck to all sides. Or not. Keep gluing until it looks like a trip to Michael’s vomited all over nature. Put the stick in a vase or hang on the wall with a couple of pieces of string and thumbtacks. Ours will hang somewhere over the changing table on our frame wall (which is not up yet, obviously) to add a little shape and texture. 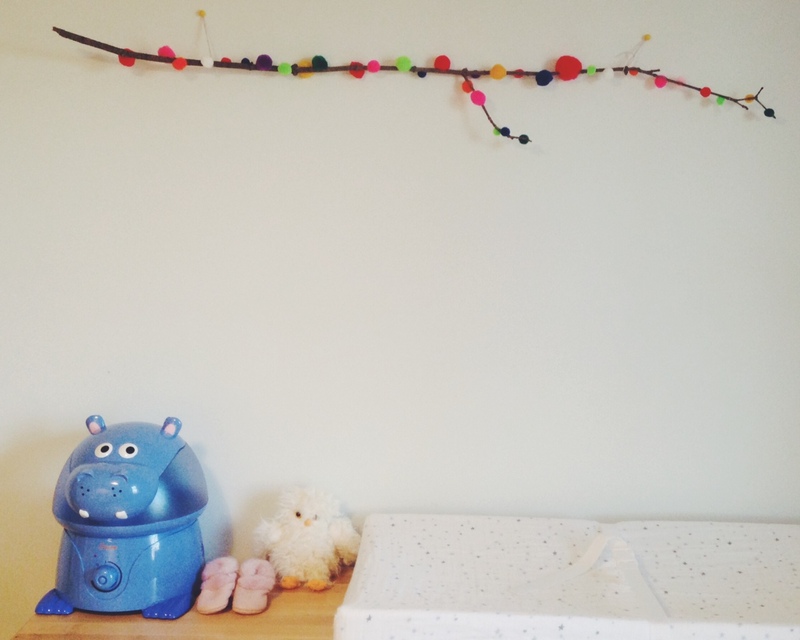 I can’t wait to post the full nursery tour once it’s all done! Getting close… In the meantime, have any ideas about what else I can hot-glue pompoms on?